Restoring the body’s natural ability to heal! If you’ve never experienced chiropractic before you may be wondering what it’s about. Chiropractic care works with the spine and nervous system to allow the perfect expression of healing in the body. The body is designed to self-heal, but the number of stressors we experience impedes that. 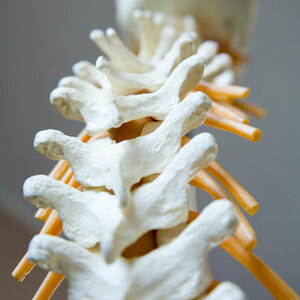 Chiropractic will restore the body’s ability to heal by removing nervous system interference. At Cultivate Chiropractic, we use a variety of techniques including Activator Methods®, Diversified, Palmer Package, Drop Table and Webster. In addition to relieving pain, there are many other benefits associated with chiropractic: improved nervous system function, better sleep, more energy, improved brain function and mental clarity, and an enhanced ability to focus and control emotions. We also find that those who receive chiropractic care can experience the world in a calmer and easier way. If you’ve never been adjusted before you may be unsure of what to expect. It’s important to know that chiropractic is highly safe and Dr. Miranda will custom tailor her adjusting to best fit you. She will walk patients through the adjustment process and be mindful of any concerns or fears that they have. For those who prefer a lighter approach, she will use the noninvasive Activator instrument. We also find that after you get adjusted for the first time, you will be completely at ease. Discover for yourself how incredible you can feel with safe and natural chiropractic care. Book an appointment today at our Altoona practice!